Home / Everything Else / Will $300 Boots Make You A Better Player? Will $300 Boots Make You A Better Player? Over the past few seasons, we have seen the price of new elite level boots gradually rise to a very challenging price point. Challenging because not a lot of players out there can easily drop $300 on one single pair. As a result, there is a common misconceptions floating around where some players automatically assume wearing a pair at this high price point will substantially enhance your in-game performance. It just isn’t true. 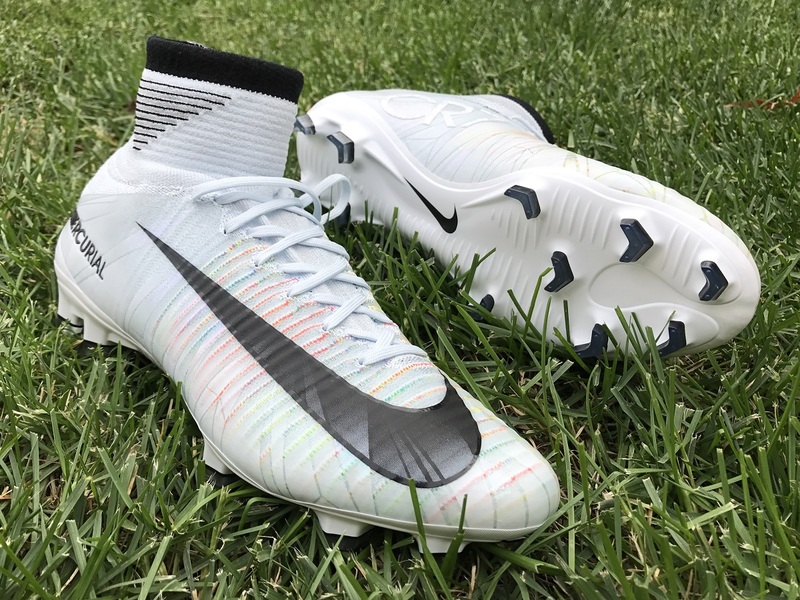 In fact, there are many more affordable shoes out there that will be a much more effective fit for players in need of boots that will help them through a difficult season. For that reason, it only makes sense to give you a breakdown on what $300 (“elite level”) boots are all about, and why you should be considering other options out there! Is There A Boot Worth $300? The simple answer to this one is NO. I talk and test a lot of boots, and none are worth forking out $300 for. But, the reality is prices are not ever set to drop. In fact they just keep rising. What about a new boot drives up the price players have to pay to get into a pair? There are many factors, but when we talk newer releases, it has a lot to do with research & development and endorsee contracts. Research and development are a part of ANY boot that is created, so it really isn’t a dictating factor in why a new boot should jump $50 in price compared to a prior model. Instead, endorsee contracts, supply and demand for profit, and the demand on brands to highly advertise their boots to market that drives the price up. Side note here; the only exception to the rule is Mizuno’s “MIJ” line-up, but even they are not worth an extra $100 on the non-MIJ pairs. What Exactly is a $300 Boot Designed For? Ok, so think about this for a second. Cristiano Ronaldo works with a design team to create a new pair of CR7 signature boots – or just the Superfly silo. Do you think the topic of boot longevity ever comes into the conversation? There might be some discussion about initial durability, but ultimately there is no real concern for how long the boots will actually last. Instead, the focus is on creating something that is lightweight and built for “the now.” Ronaldo gets to wear his boots for a week, or maybe two, and then he jumps right into a new pair. Have you ever noticed how his boots always look brand spanking new with minimal scuff marks? The same is true for any top-level player that chooses to wear an elite level boot. 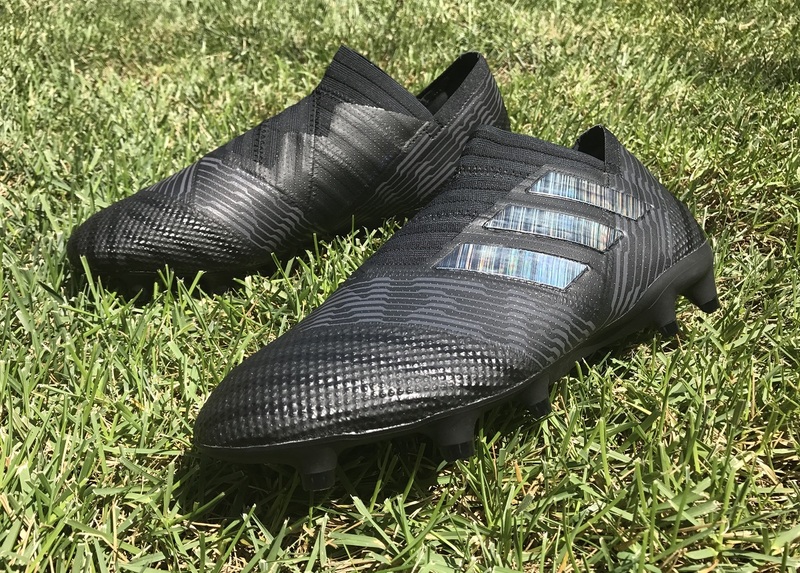 So, they are designed for top level players, to offer them immediate performance on the pitch – right here, right now – without needing to focus on boot longevity. Players can’t rely on a $300 pair of boots lasting a season. This is the reality. I can’t tell you how many times I’ve had parents reach out with horror stories of their kids boots falling apart after a handful of wears, wondering why a $300 would dissipate so quickly. Who Should Be Wearing $300 Boots? There is definitely a category of player that can benefit from using elite level shoes. 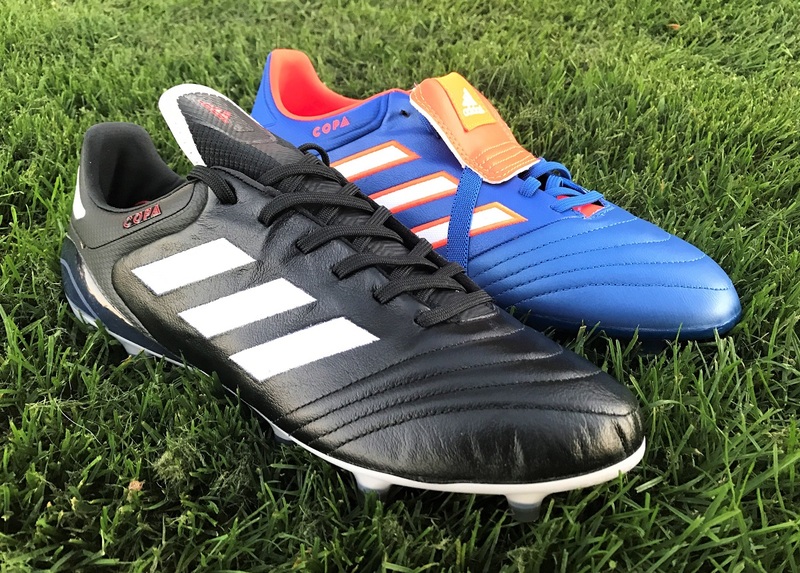 These are the players looking to take their game to the very next level with the understanding that it is going to take an investment to get the most out of their $300 boots. So, your financial position is definitely important here. There can be an immediate performance differential between the elite level boots and other pairs, that is a no brainer when they are built from the feedback of top pro athletes. If you go the elite level route, my advice is simple; take care of them the best you can after every wear, and look to pick up a more economical second pair that you can use for general practice. There are people who will tell you to wear your game boots in practice so that you are familiar with the fit/shape and in-game feel. My advice is this; wear your back-up boots for fitness and general training drills. When you break out into a scrimmage, throw those elite boots on. That way you are taking some of the stress off them, while still getting to wear them in-game line situations. I can’t Afford $300 – What Should I Do? First of all, don’t even think about panicking. There are so many options available it is not even funny. 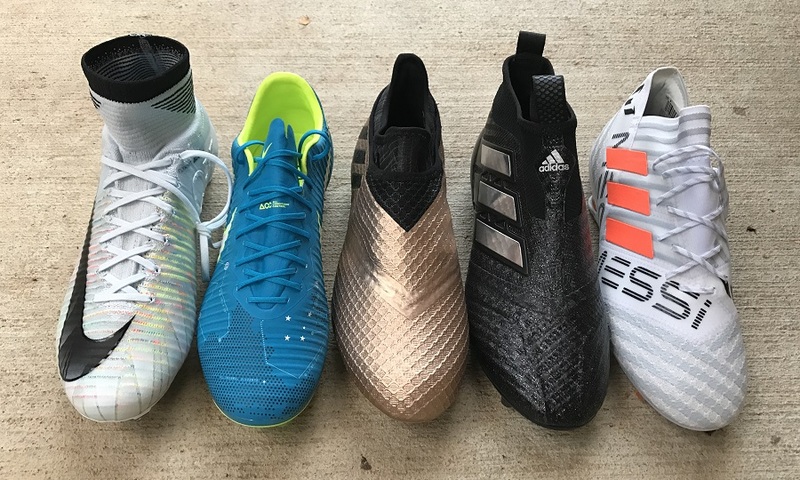 I’ll break down some of my preferred boot options below, but here is the formula to success. There are so many ways to save on top-tier boots. For example, hit up soccer.com’s Outlet section. There are always quality boots on offer there. Watch out for special sale events, especially around holidays, or better yet hit up your favorite store on social media to see if they have a “special” code they could offer you on your next purchase. Let them know you are looking for a new store to purchase boots from going forward! Bonus Tip: follow our “steals and deals” page! As soon as a new generation of boot is released, prior models in that silo automatically go on sale. For some players, wearing the “newest” boots is a must. But for the smart players out there, using last seasons model that was once “the best boot ever released” and on sale for half price is the way to go. Do yourself a favor and be the latter player! I’ll let you on a little secret here. Brands know there is huge important in owning the mid-tier boot market, a level where more pairs are sold worldwide, embracing a bigger audience. 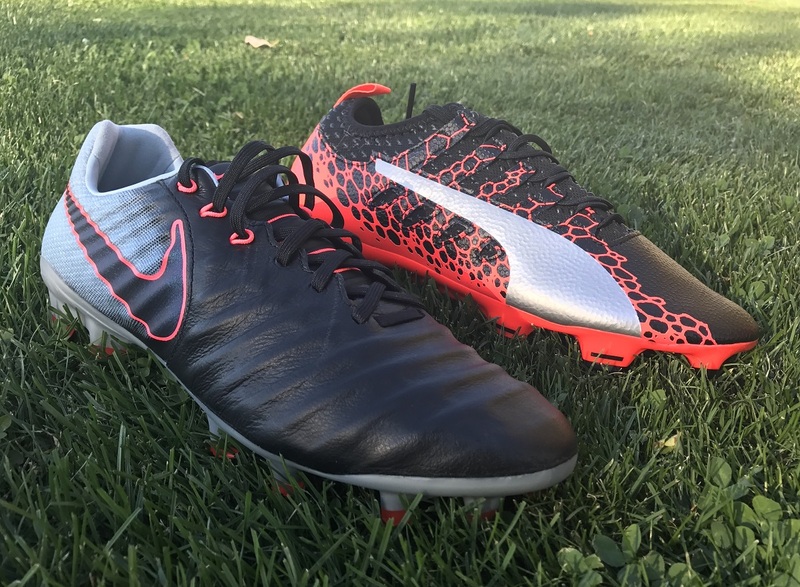 With more materials, stitching and all around better construction, mid-tier boots are designed to last longer and will match the needs of amateur players more effectively. If you use the above strategies to find your next pair of boots, you can easily find two pairs for the price of one. And that is what I strongly recommend players do. Look to double up with two pairs of last years top-tier model at the same price as a new model, then use one as your game boot and one as your practice boot. Or jump on the mid-tier bandwagon where you can also find some great deals. And this also solves a problem for players that play on multiple surfaces. Why struggle with the traction performance of a boot on the wrong surface when you can get the right stud configuration? Pick up a mid tier pair of FG and AG for the same price as one high-end boot! What Can You Get for $300? Ok, so I figured it might be worth sharing an example of a boot combinations you could get for $300 just to illustrate the options that are out there. This might prove useful if you are looking to get top value through a season of play. I’m sure the boots/prices on here will change, so I’ll look to come back an update this post when I can. Three pairs of quality, proven top performing boots for $314.97. Even though it is slightly over the $300 mark, it is a good example of what is on offer if you really want to spread your money across multiple pairs rather than one. So, to summarize. If you are in a position where you can afford $300 boots and you feel like it is a necessity to help you move to the next level in your career, go for it. But, lower your expectations in how long your boots will last and expect to have to buy multiple pairs in a season. For others, be resourceful and consider your options. Don’t jump to the conclusion that you need elite level boots and please don’t be irrational when it comes to older models. As much as players want to judge you by the boots that you have on your foot, make the smart decision and wear something that just flat-out works. Spend more time focusing on your performances and allow whatever boots you are wearing do the talking. Mizuno MIJ are not cheap but with proper care, it's worth the cash in the long run. Things got out of reason lately. I have a pair of predators lz. They are tough! And I played in very hard surface. But latest elite line up are so thin.